Have you ever thought about doing a juice cleanse before? Come learn about my 3-day juice cleanse experience for a taste of what to expect! Have you ever thought about doing a juice cleanse before? It's something I've wanted to dear for years but always came up with an excuse not to try it. It wasn't the right time of year. I was too busy. I had social commitments that I couldn't get out of. Every excuse under the sun and I probably used it. But this year I decided to give it a try. I cleared my schedule for three days and drank only liquid for three straight days. So that's what you're getting. A full blown recap of my 3-day juice cleanse experience – what I liked, what I didn't like, how I felt, what changes I saw and my overall feel about the process. Hope you find it helpful! 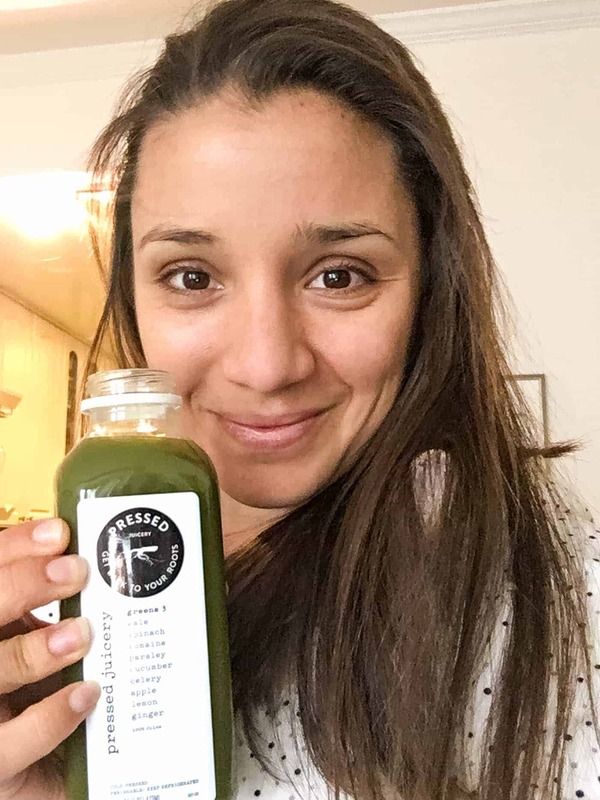 There are a million different cleanses out there to try and I researched the heck out of a lot of them, but I decided to go with Pressed Juicery for a few reasons. 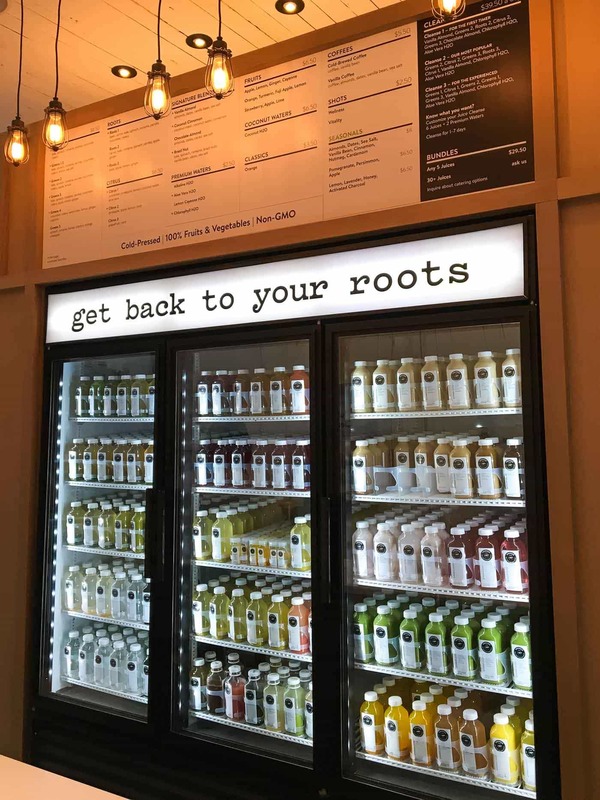 One, they are expanding into New York City and I wanted to support that because I think the more juice places there are, the more we can spread the love of leafy greens with the world. Two, I really loved their juice combinations and I appreciated that the cleanse had a lot of variety (you'll learn more about what juices I drank later!). And three, their juices are cold-pressed, not pasteurized and affordable. Pressed had three options to choose from and I went with the middle one which had a mix of green juices, citrus juices, a root based juice and a nut-milk drink. I didn't feel like I was experienced enough to go all out on the greens, but I knew I wanted to have as many greens as I could. I didn't know what to expect going into it but was excited to hear that I'd basically be drinking all day long. They told me that you drink a series of 6 juices, every two hours, along with two cleanse waters. You can have unlimited herbal tea and water, but no caffeine (green tea or coffee). Based on my daily schedule, that felt pretty doable – I planned to drink my first juice around 8am and end the cleanse each day between 6 and 7. Sounds like a normal schedule, no? I honestly wasn't totally sure what to expect, but I definitely had some presumptions about what the experience was going to be like. I knew it was going to be hard to not eat a single thing for three days, especially living with another person who would be eating. I also figured I was going to feel pretty hungry, fairly tired (and maybe even a little lethargic), I was going to be eliminating a lot and I would be pretty irritable. But I also expected to lose a little weight (which was totally not the point), I'd be less bloated and feel rejuvenated and energized by the end. Oh, right and then the cravings. I knew I'd be struggling with the cravings! First and foremost, I am really glad that I did this cleanse. But I'm not going to lie, it was tough. Like way harder than I thought it was going to be. A lot of my expectations were right, but there were some symptoms that I was pretty surprised about. 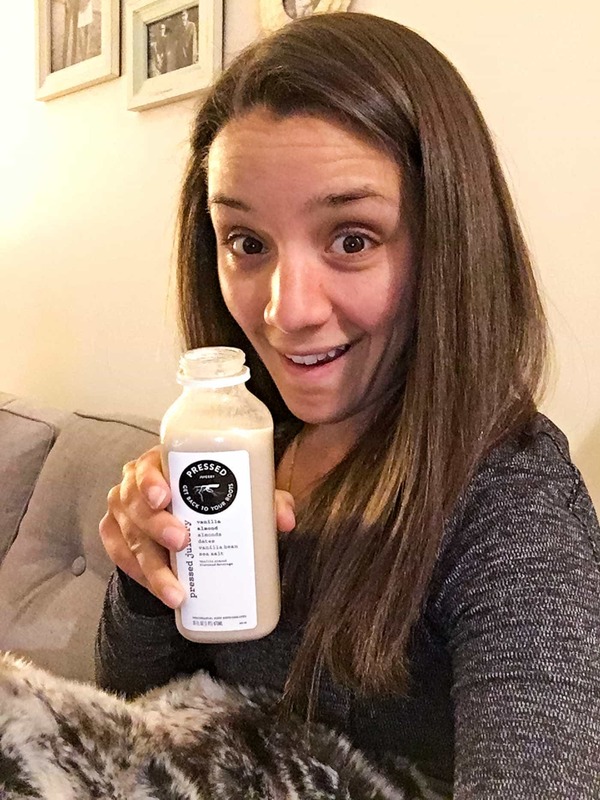 I decided that, rather than just sharing my 3-day juice cleanse experience with you on the blog, I also wanted to vlog about the experience so you could get a true sense of what it was like. I've included the video below as well some takeaways. The first and third days were the hardest for me energy wise. I wasn't exhausted by any means, but I definitely did not have the same get up and go as I normally do. And that was without doing much exercise at all. I love exercising, especially in the morning – it's a great way to start my day and I always feel like it gives me more energy. 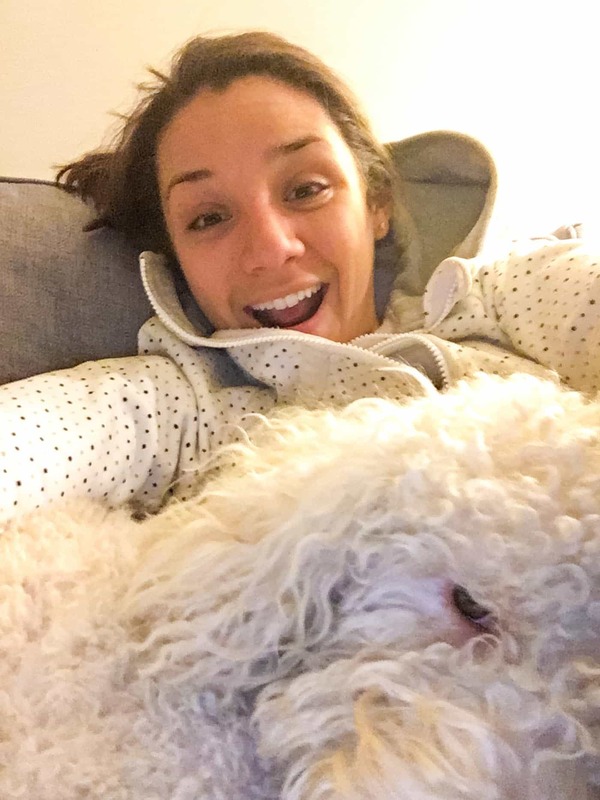 But since I wasn't going to be eating that many calories, I stuck to walks with Trevi and a few lighter, at home yoga sessions. I'm not going to sugar coat this and tell you that everything was totally fine. I was hungry pretty much all the time. There were points in that day where my stomach was just growling but I had to refrain from consuming anything because it wasn't time for my juice. The saving grace of the cleanse was definitely the nut milks each night. Without those, I don't think I would have been able to do it. To my surprise, digestion was not great. I was thinking that I'd be on the toilet all the time, but that didn't happen at all. Instead, it was kind of the opposite. I'm not sure if it was because I wasn't drinking enough extra water, or it was just that there was fairly any fiber to help things move along, but that part of it was definitely not was I was expecting. I think in total I lost about 3 pounds, but let's be real here and say in the last two days of eating solid food I'm sure those pounds are right back. I definitely think you can lose weight with juices, but three days is not a sign of true weight loss. It's just water weight and the fact that you haven't consumed any solid food so there isn't much sitting in your intestines. My favorite part of the whole thing was the fact that there was literally no bloating. My stomach was totally flat and I didn't get any stomach aches. Aside from the hunger (and cravings), the cleanse definitely made me feel good about how I looked. And it also made me think that there might be something that's part of my normal diet, or a habit that I'm doing, that is causing me to feel bloated sometimes. So definitely want to explore that more! Most of day 1 and day 2 I was okay as far as cravings went. Matt was actually home for both of those days, so it was hard when he was eating and cooking food, but I definitely didn't spend the whole time thinking about food. Day 3 though, game over. I was constantly thinking about what I was going to eat the next day. I was thinking about my smoothie bowls, my salads and I was just majorly wishing I could chew something! But what was great was that I was craving healthy foods! I wasn't thinking about snacks or sweets – I was thinking about green smoothies and big salads. It made coming off the cleanse a lot easier. As you can see from the video, I made just one modification to this cleanse. On day 2 and day 3, I was absolutely starving by mid-afternoon and instead of drinking more tea or water I actually ended up making a superfood hot chocolate. I know it's not part of the cleanse, but my biggest thing was that I needed to listen to my body and my body was telling me that I needed more calories. This was a good option for me because it was still liquid, it didn't really add any fat of added calories to the cleanse (maybe 100 at the absolute max), but most importantly it gave me an energy boost for the rest of the day. They were only hot water, 2 tablespoons or so of raw cacao, some maca root powder and some stevia and I'm not going to lie, they kind of saved me on the cleanse. The main thing I think I could have done better with was my water consumption. I don't think I was drinking enough water at all. But it was really hard because I was already drinking so much juice that I just wasn't thirsty. It was also really cold here in NYC and it's really hard for me to drink a lot of cold water when I'm totally freezing. I drank a TON of herbal tea – probably at least 4 – 5 cups per day – but honestly probably only drank 30 – 40 ounces of water. I probably should have been drinking twice that amount and you know, that might have also helped with the elimination piece of it. Overall, I am glad that I did it, but I'm not sure if I would do another 3-day one. I could see just juicing for a day, just to give my body a break, but with the life that I live right now, I don't think 3-days works for me. I also think that because I eat incredibly clean already, it didn't have as profound of an effect on me as it could on someone who follows the Standard American Diet – high in animal protein, high in processed foods, lots of gluten and dairy, multiple cups of coffee a day, etc. 1. What's your starting point? My body was used to eating tons of fruits and vegetables, I drink juice pretty regularly, so the shock to my system was certainly less. For me, I think the optimal way to juice is to incorporate it into a healthy, real food based diet. Juicing absolutely has tons of amazing benefits and I believe wholeheartedly in the power it has to help heal the body, but I'm not sure how much of a benefit I really saw from drinking only juice for three days. 2. Find juices you like. I absolutely LOVED the juices from Pressed and can't wait until they open more stores in the city. With the reasonable price and amazing flavor combos, I'm really happy I chose them. 3. Juice cleanses are hard. There's no skirting around that. You are going to feel deprived, you're not going to have a ton of energy, but like I mentioned above, depending what level of health you're at, I do think they could be beneficial. 4. Listening to your body is super important. Matt told me I was “cheating” with the hot chocolates, but I felt that like is what my body needed at the time and I don't regret it one bit. 5. Don't do it right before you travel. I actually traveled for a blogger trip the day after I ended my cleanse and I'm not sure it was the best timing. I was able to stay pretty clean as far as eating goes that first day (Wednesday), but Thursday was filled with hotel food, lots of food tasting, airport snacks (I bought some dried mango and apple chips), and a takeout salad. It wasn't really the ideal “ramp down” phase, but I did my best! Whew! That was a long post and thanks for sticking with me if you're still here 🙂 I hope you found this helpful, especially if doing a juice cleanse is something that you've thought about doing or wanted to do for quite some time. Please do keep in mind though, this is my experience. Your experience could be totally different. Just always remember to listen to your body – it knows what is best for it and it won't lead you in the wrong direction. Have you ever done a juice cleanse before? What was your experience like? I'd love to hear your stories! And if you haven't done a cleanse before, have you ever considered it? What has been holding you back? Can't wait to talk more about this! Disclaimer: After I selected Pressed Juicery, I reached out to them and asked if they would provide me the juice for free for sharing my experience. I would have shared it with you either way, but it was nice to get that support. You can check out Pressed Juicery and all their cleanses on their website – they ship all across the US! Hi Alyssa, thanks for sharing your experience, your tips like “dont do it before travelling”, “listen to your body” or “water consumption” are prescious. Of course it is not easy, who would say the opposite. There is similar tree day vegetable juice cleanse diet I know https://cancancleanse.com/index.php/cleanse/new-core-green/ which also includes vegetable broth and a soothing tea before bed. I will share my experience soon! Thank you for sharing your 3 day juice cleanse experience. These juices are looking delicious. 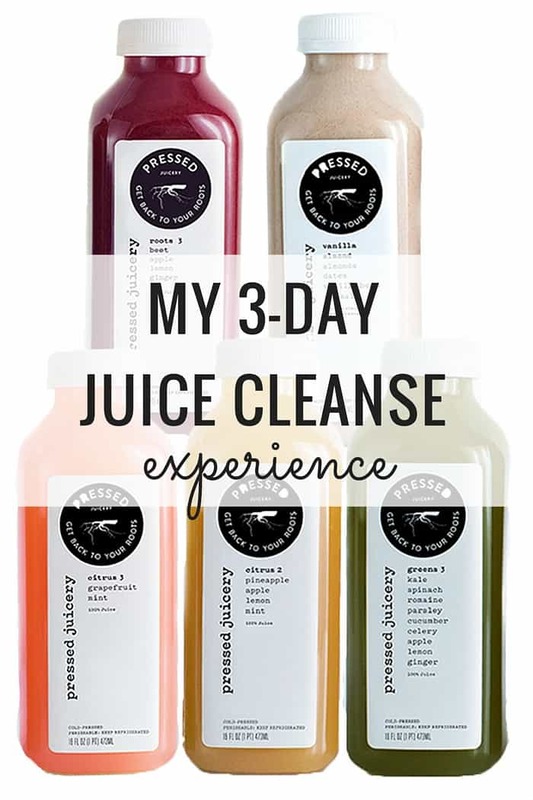 I can’t wait to buy this as i’m feeling curious to know about what 3 day juice cleanse do to my body. Keep blogging! Thank you! Good and interesting article! For those who need a good detox juice delivery, I can recommend https://cancancleanse.com/index.php/juices/juices/ these guys! They are doing everything fast and with a high quality! Probably this is the best juices in SF! I tried one for 3 days from Tony Robbins. It had like hardly any sugar but mostly just wheat grass and udo’s oil. It sucked but wasn’t too bad just all the side effects you meantioned. I was wondering if I had done a cleanse like yours that I would have felt better and got a cleanse at the same time. I was mainly doing it to have more energy but it didn’t work. Like you I try to be pretty healthy already too. Thanks for blog I think I will try something similar. Look forward to hearing how your next experience goes! One thing you might want to consider is doing a cleanse that also includes some smoothies. I think that’s what I would do next time around! I’ve always wanted to try and be a part of this juice cleanse craze. One thing about me is that if I have eaten well the night before (not necessarily too much, but definitely some rye bread) I don’t feel hungry unless I eat. Since there is no eating involved, and considering the fact that water and tea get me along pretty well, I’m now more confident that I could pull this off. I know you don’t know me, so this may sound awkward, but I wish you hadn’t drank the hot chocolate. I have a very strict dietary plan, and my body tells me to eat every so often. I know that feeling. But the trick is in resisting, because sometimes our bodies are used to certain things, therefore they only want to go back to a routine. As I said, resisting is way better than giving in, because no matter how worn out you may end up, your body feels super relieved. But all in all congrats for surviving 3 whole days involving dog walking -it consumes a lot of energy to run after your dog. I admire that you could go to bed at 22:00 though, as I’m sure it helps with getting up at 06:00. I fail to do that, and always end up sleeping 5 hours. Watching your vlog, I now have more motivation to go to bed earlier. Please keep us updated with your beautiful recipes! Thanks for the comment and would love to know if you end up trying a juice cleanse for yourself! Loved reading about your experience with the juice cleanse. I have always wanted to do one myself but imagined it would be incredibly difficult to give up solid food for 3 days. I pretty much wake up starving every morning and am miserable if I’m hungry so those have been the factors keeping me from testing this out myself! Think I could handle a day, but not 3. Got a bit of a glimpse into the liquid diet when I had my wisdom teeth pulled out last summer and that was awful!